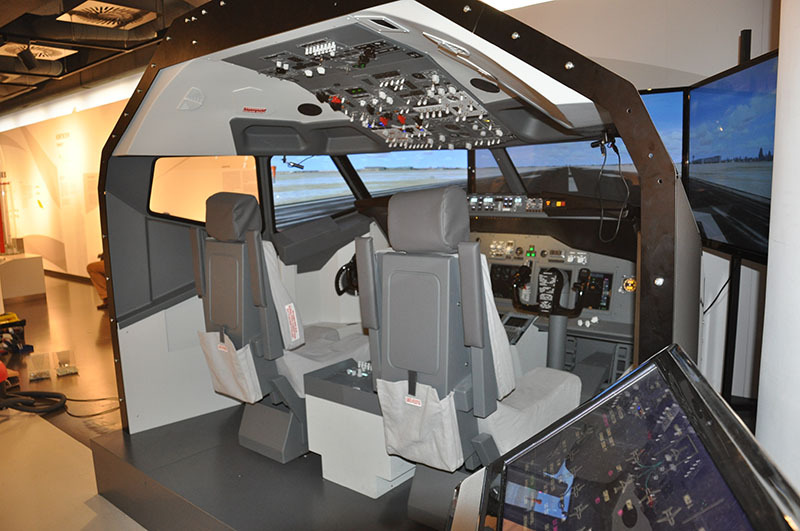 The Cockpitsonic Pro-Solutions B73X Trainer is a replication of the actual 73XNG Flightdeck. 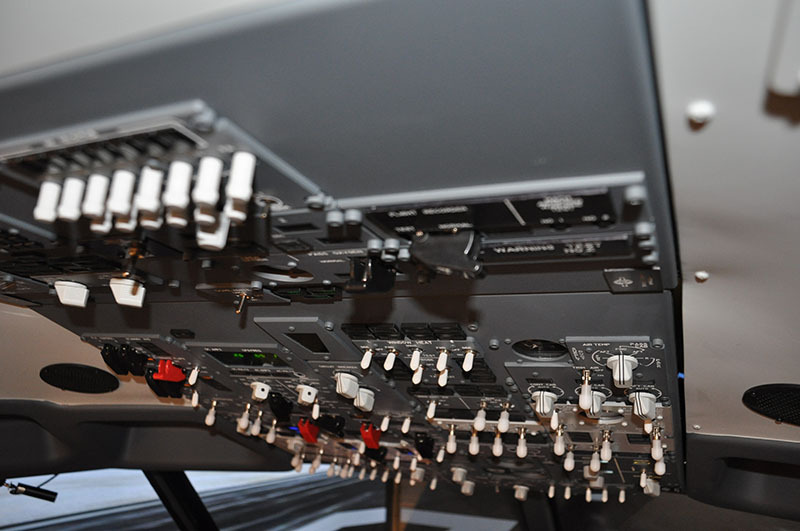 All Flightdeck controls, panels, knobs, switches and other components found in the actual aircraft Flghtdeck are replicated in size, look, feel and functionality in the device. 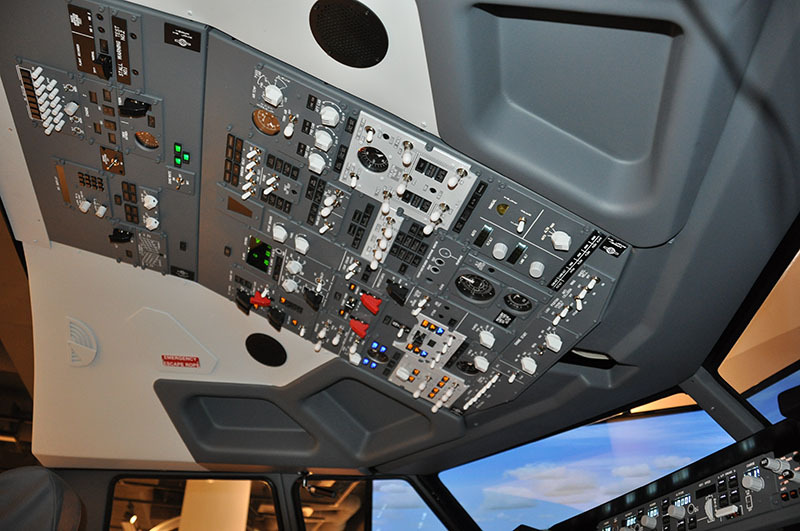 In addition to hardware, the aircraft systems and avionics are simulated in great detail to ensure the ability to train all phases of Flight under normal, abnormal, and emergency conditions. 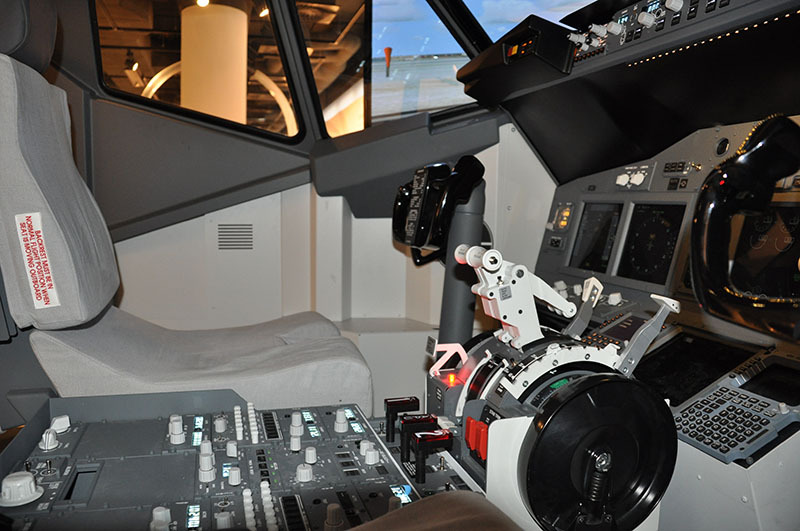 Behind the Flightdeck is a fully enclosed instructor station with sufficient room for the instructor and an observer. Outside and in front of the device is a massive tall curved projection screen (or Monitor Units) that the synthetic world is projected on by three high definition projectors that are mounted above the device. 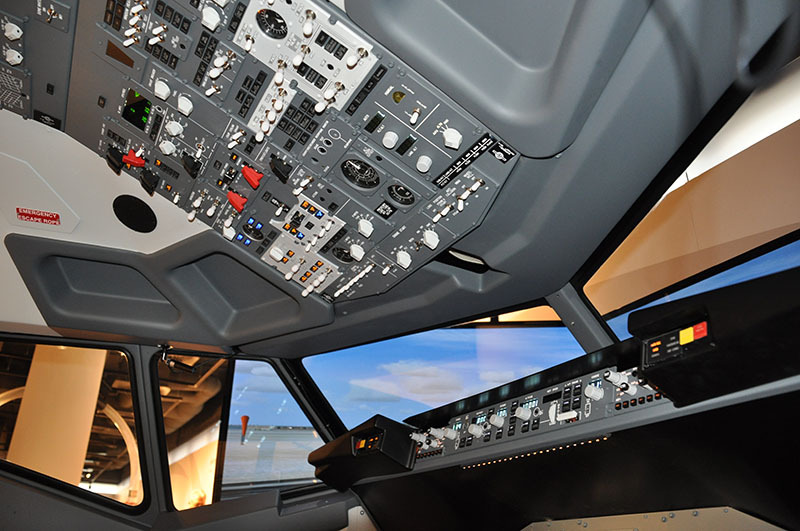 The result is a highly accurate Flightdeck and large scale visual system that provides immersive training environment that puts pilots in an incredibly realistic simulated environment where they can learn jetflying skills that are nearly impossible to train using aircrafts. 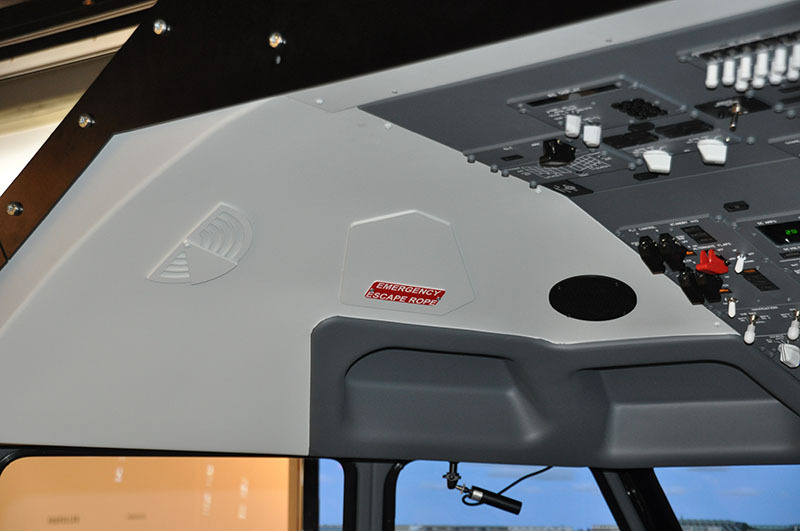 The Cockpitsonic Pro-Solutions Jet Trainer can be ordered and delivered for training certificable by the FAA as an Advanced Aviation Training Device (AATD), by FAA as an Flight Training Device (FTD Level 4 & 5) and by FAA as an ICAO 9625 conform Flight Training Device (FTD Level 4 & 5). 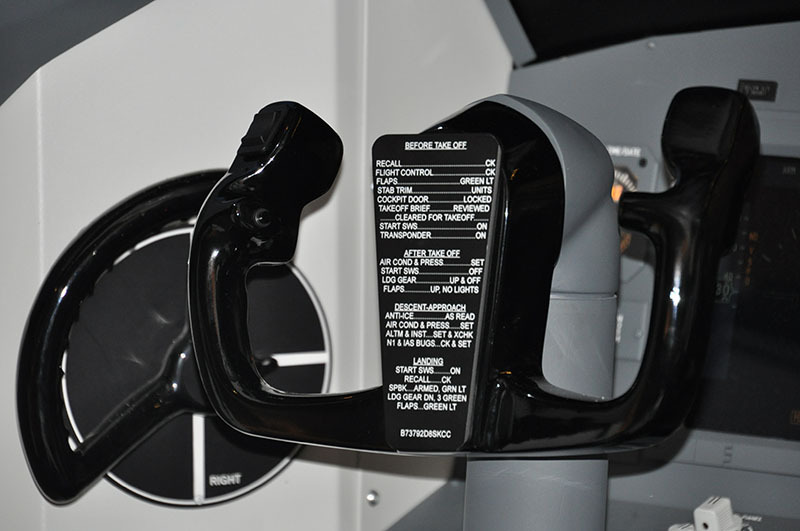 The Cockpitsonic Pro-Solutions Jet Trainer can be ordered and delivered certificable for training by the JAA as an Basic Instrument Training Device (BITD) and for training by the JAA as an Flight Navigation Procedure Trainer Level 2 MCC Generic Type (FNPT II MCC). the cockpit a realistic look. FNPT II / FAA FTD L5). wheels, speed brake and TOGA switches. Replica ap levers complete with gates. 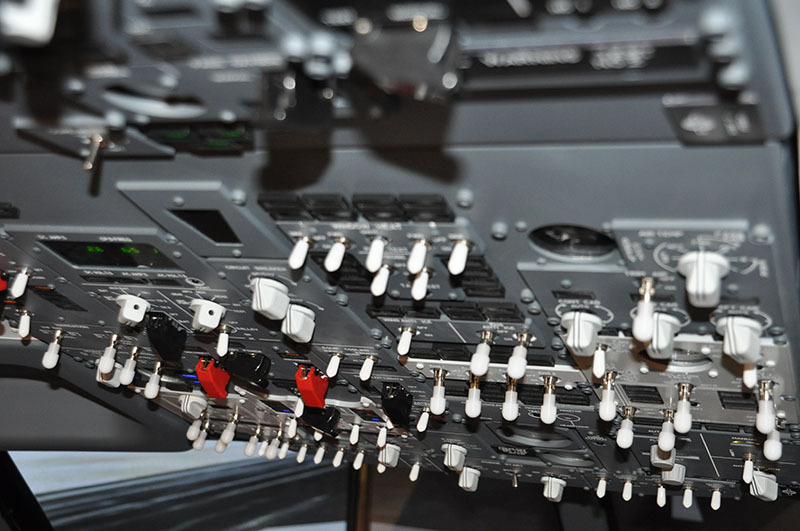 Intercom system for communications between pilots,Â observer and instructor. (JAA FNPT II / FAA FTD L5). Oxygen mask with intercom (JAA FNPT II / FAA FTD L5). 180 degree horizontal and 30 degree vertical, curved, movie-quality projector screen and frame. 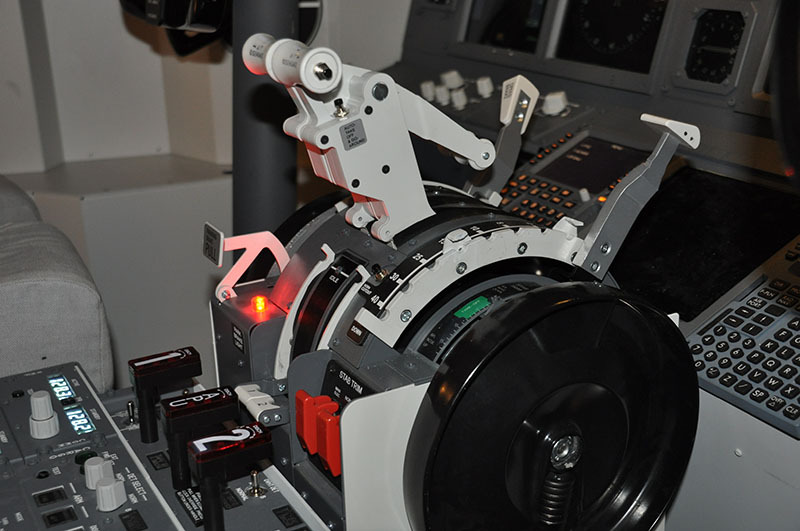 ThreeÂ Â overheadÂ Â projectorsÂ Â toÂ Â createÂ Â theÂ Â highÂ Â definitionÂ Â visual environment that simulates frontal and side window visual effects. 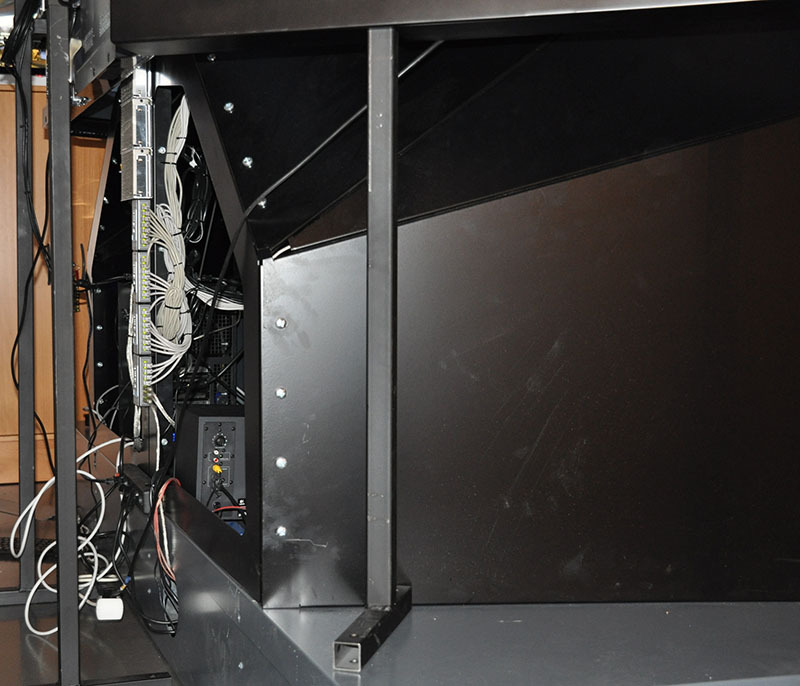 Structure for projector support. Full enclosures with collimated displays are available upon request. 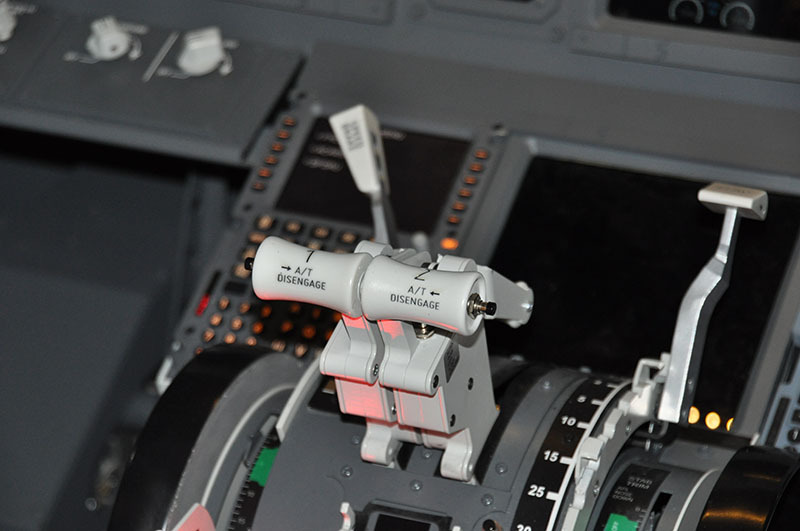 Easily repositioning the aircraft to a variety of ground and Flight positions instantly. Adjusting the time to include dawn, day, dusk, night. Adjusting the weather such as: winds, cloud cover, visibility, rain and snow. electrical failures as well as minor system faults. 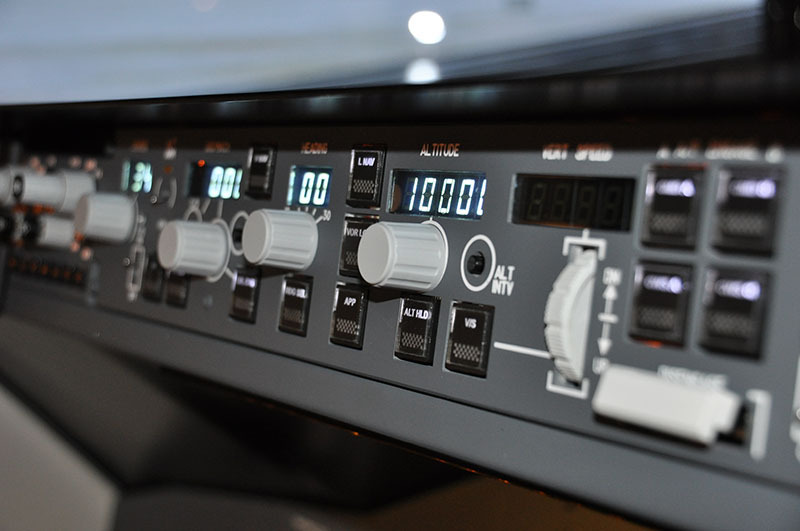 Realistic dual Multi Function Displays with multiple display formats, capable of displaying Flight plan route, navigation aids, range to altitude and airports. Realistic dual Primary Flight Displays with pilot controlled V-speeds, MDA/ DH, and barometric pressure. 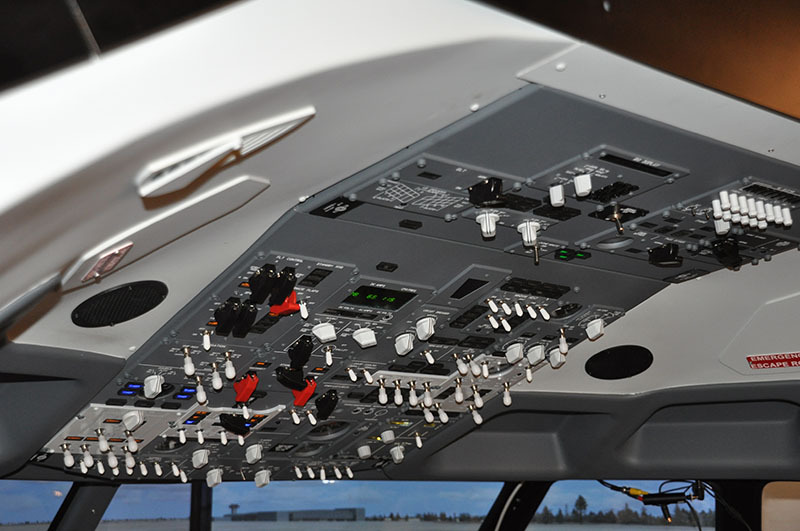 Realistic ECAM system to include primary and status pages with appropriate information displayed to include messages, engine gauges, flap & gear indications, engine vibration gauges, etc., as well as detailed system synoptic pages to include AC/DC electrical, environmental, hydraulic, anti-ice, doors, and Flight controls. and communication frequencies, ADF frequencies, and setting transponder codes. 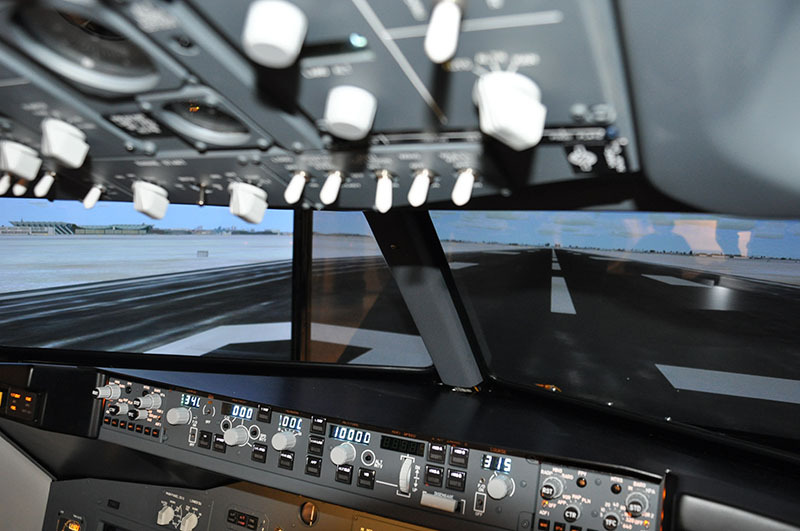 Create Flight plans incorporating DPs, STARS, IAPs, and jet airways. waypoints, creating waypoints +/- nm from existing waypoints. 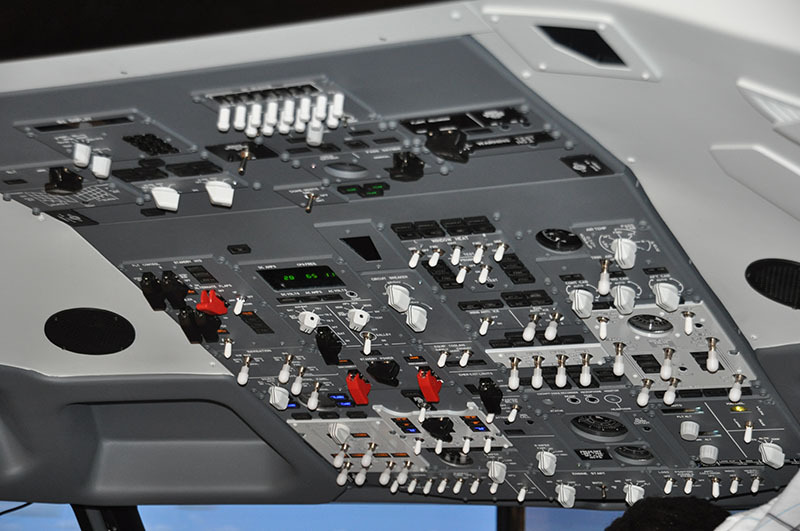 input weights for cargo, fuel, and passengers. 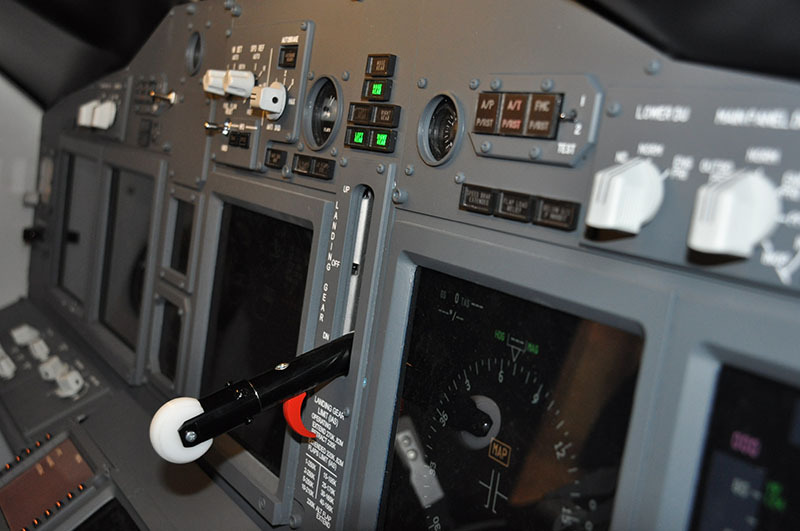 Tune navigation, communication, ADF frequencies, and set transponder codes. Configure MFD display data. 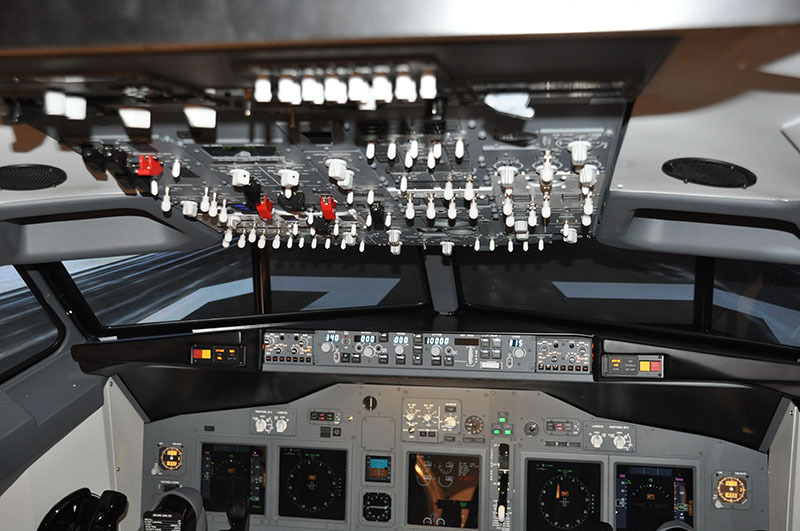 Realistic Auto Flight Control System with lateral modes to track headings or navigation signals and vertical modes to track GS signals, climb/descend in IAS or VS modes to capture preselected altitudes incorporating a Flight director for both pilot and copilot. 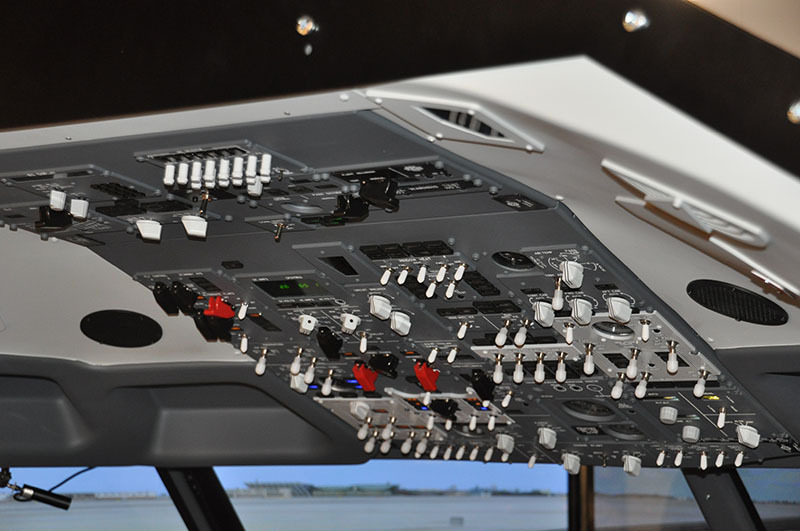 Realistic Systems program to allow pilots to control APU and engine starts/shutdowns and control electrical, hydraulic, environmental, anti-ice and fuel systems with proper response to pilot inputs and tests. Realistic Audio Integration System with warning and caution chimes, aural warnings, fire bells, over-speed cues, and tests. 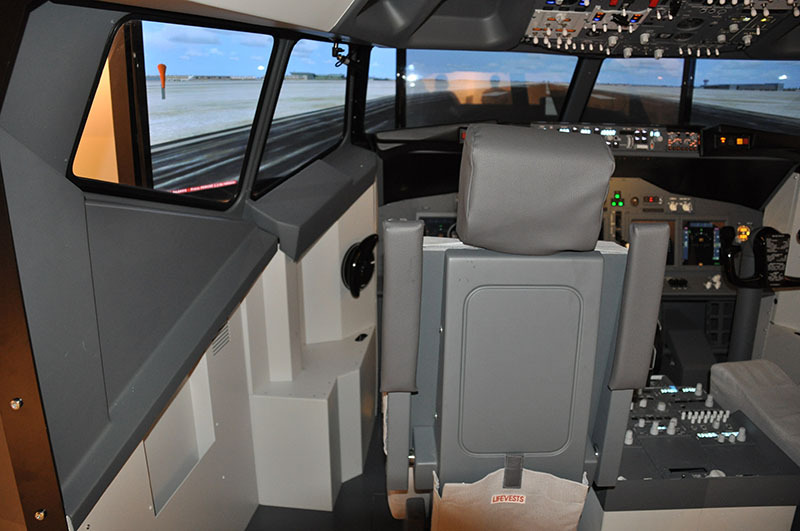 Cockpitsonic Pro-Solutions uses Lockheed Martins Prepar3D or Xplane 10 simulation/visual engine. navigational aids, and accurate geographical landscapes. AutoGen technology that provides geotypical object and texture coverage over the whole surface of the Earth. Landscapes with moving vehicles, birds and animals. Dynamic weather with complete control over winds, barometric pressure, cloud layers, precipitation from light rain or snow to heavy rain or snow and thunderstorms. 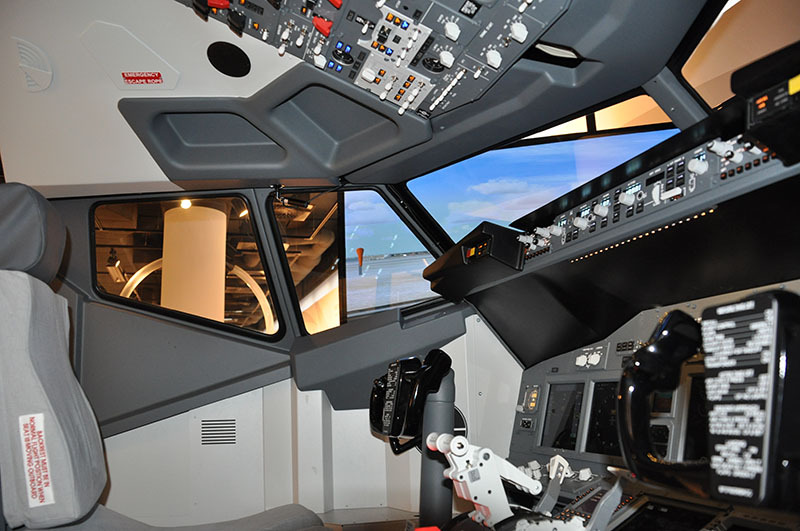 Cockpitsonic Pro-Solutions Jet Trainer is a dual seat, autopilot and FMS equipped Flight Simulation Training Device fully mission capable.Â The type specific nature, combined with the accuracy of the hardware and software, allows for specific jet aircraft training to be conducted in the device using in most cases the factory Flight Crew Operating Manual for flight and ground training as well in most cases the actual checklists and Quick Reference Handbooks (QRH). 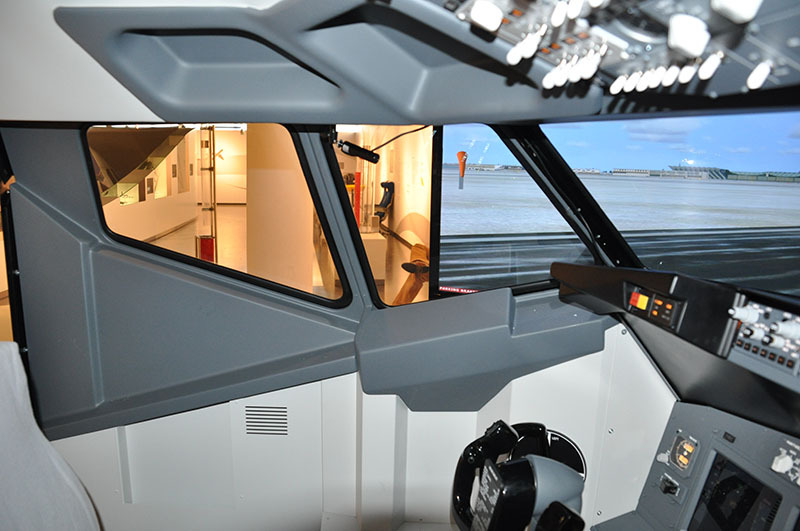 The instructor station is ergonomically laid out to ensure accessibility to the cockpit components and unobstructed observation of flight deck activity. 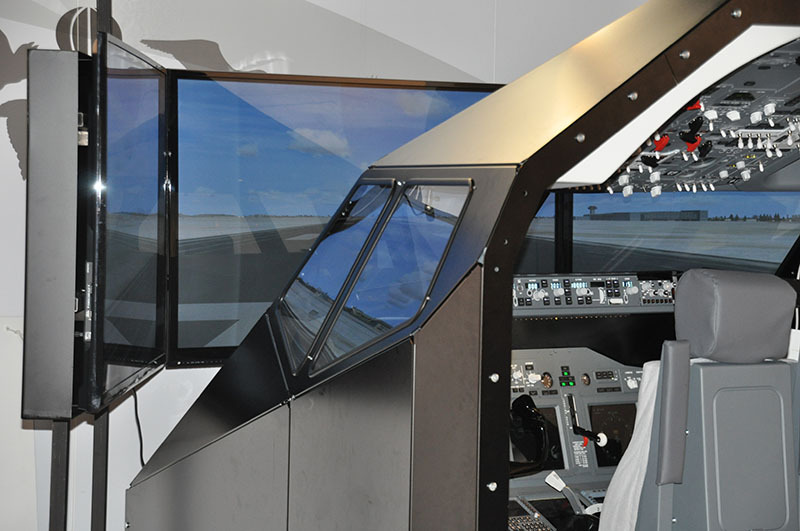 The instructor station software allows for an intuitive manipulation of aircraft systems and failures with customizable event triggers. 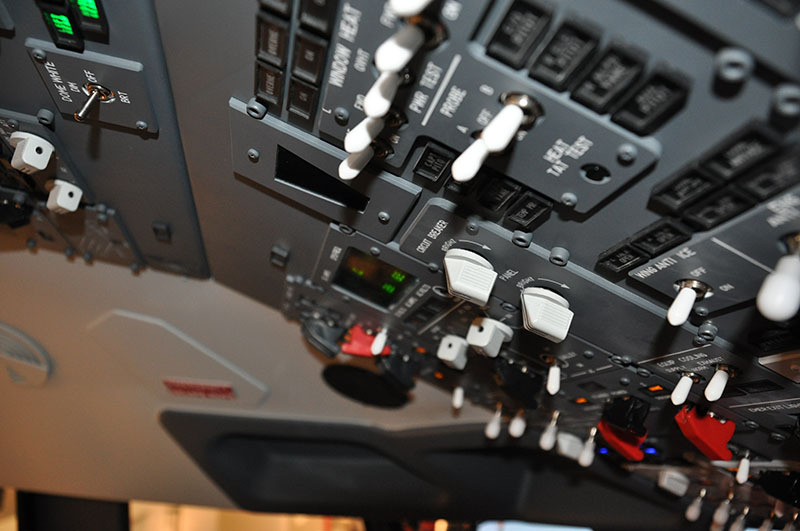 The instructor can trigger an event immediately, after a predetermined interval of time, airspeed, altitude, or combination of the three. easily be used in training. Pilots will find runways, taxiways, buildings, jet ways, de-ice pads, hangers, etc. correctly placed. 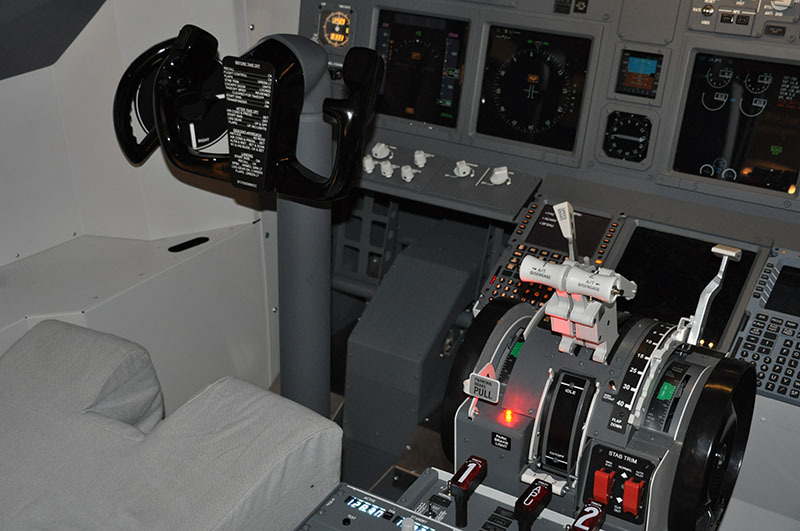 Flight operations training can also be executed in great detail. 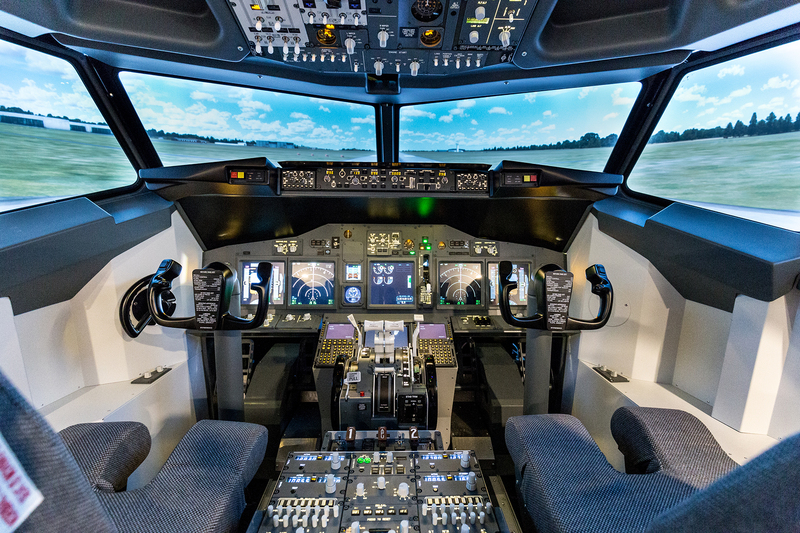 With systems simulation and integration, all phases of ground and flight operations, including all normal, abnormal, and emergency scenarios can be trained in detail. (Abnormal and Emergency situations included in FNPT II and FTD L5 as required by certification). A highly detailed and accurate global database greatly enhances the mission capability of the device. The database includes a highly detailed scenery and terrain database that reflects the actual landscape, structures, and hazards of the real world. 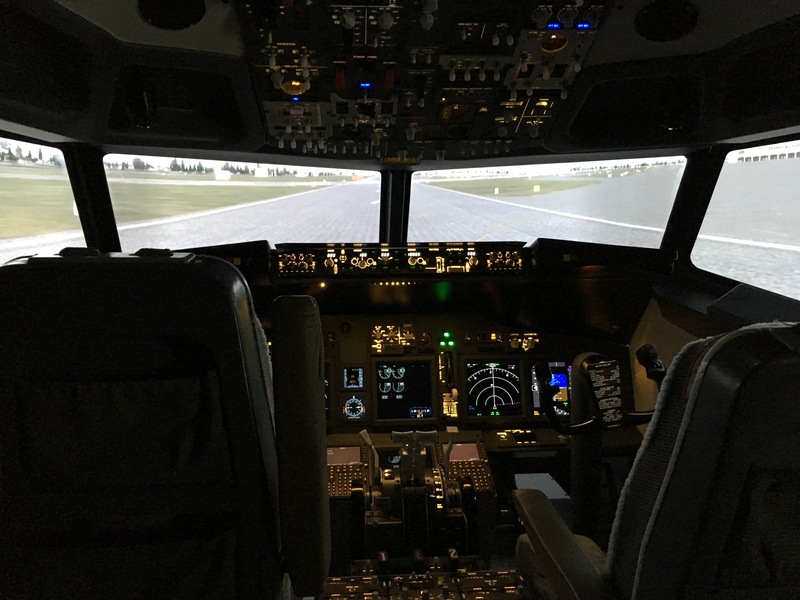 These features are ideal for familiarization with new airports and flight plans; departure, arrival, and approach procedures; and seasonal characteristics common to their operational settings. Cockpitsonic Pro-Solutions prides itself on providing first class customer service and support. We have incorporated several unique features into our device design to increase reliability and minimize down time. Support of software is accomplished via the internet. plug and play, requiring no more than a ÃŸ at blade screwdriver to remove and re-install. 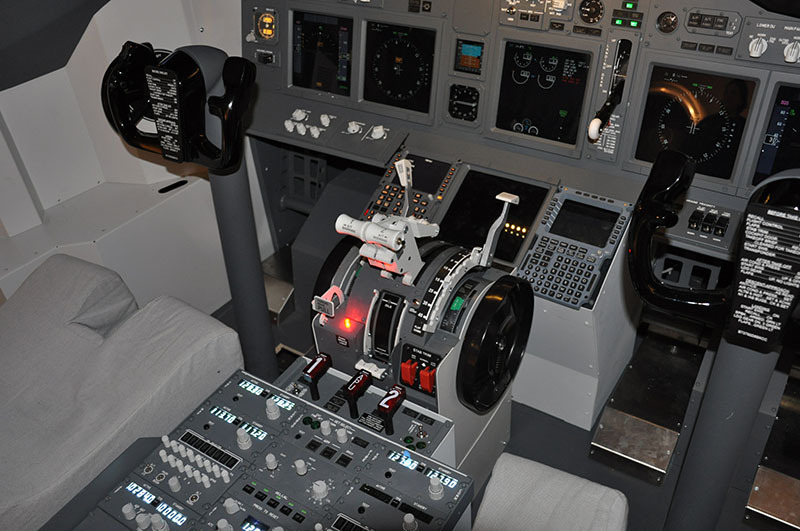 Cockpitsonic Pro-Solutions Jet Training Devices are guaranteed to be free from manufacturers defects to the original Purchaser for the duration of six months from the date of Purchasers execution of the Acceptance Test. Cockpitsonic Pro-Solutions will repair, replace for any part or parts manufactured by Cockpitsonic Pro-Solutions that are deemed defective in material or workmanship or both. If, in the sole judgment of Cockpitsonic Pro-Solutions the device is deemed to be irreparable, Cockpitsonic Pro-Solutions will replace the Device. The purchaser will be responsible for all travel and shipping expenses incurred to replace the device. Limited Warranty is void if the device has been modiÃž ed or altered in any way, including alteration or removal of serial numbers. Projector lamps and other consumable components are not covered by this Limited Warranty. Costs or loss of revenue incurred due to downtime of the device are not covered by this Limited Warranty. Cockpitsonic Pro-Solutions liability under this Limited Warranty shall be limited solely to repair or replacement as provided for above, and Cockpitsonic Pro-Solutions assumes no risk of, and shall not in any case be liable for, any other damages, including, without limitation, any special, incidental, consequential or punitive damages, arising from breach of warranty or contract, negligence, tort or any other legal theory, including, without limitation, loss of goodwill, proÃž ts or revenue, loss of use of the device or any associated equipment, facilities or services, downtime costs, or claims of any party dealing with the Purchaser for such damages. Cockpitsonic Pro-Solutions does not guarantee the Certification for the FTD. 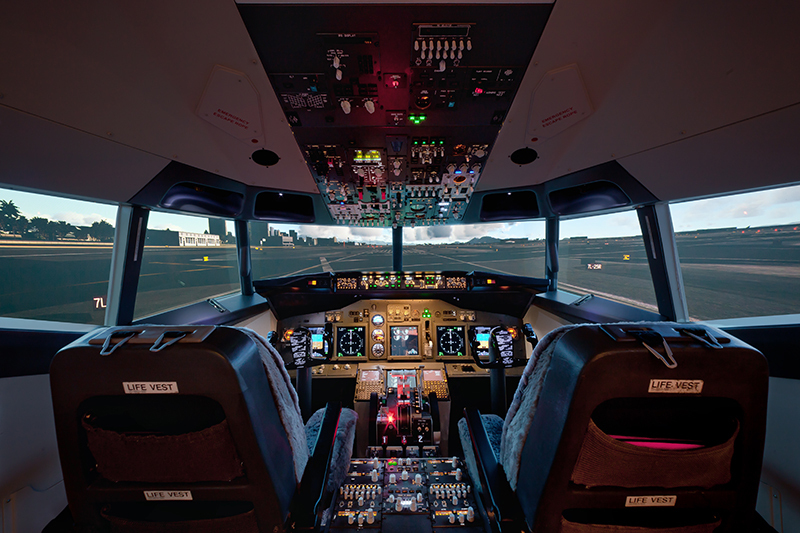 This depends on many parameters not in the influence of Cockpit Pro-Solutions. If there are items missing in specific qualification environment Cockpitsonic Pro-Solutions may supply these parts or software modules for additional costs. ABLE TO OPERATE THE SOFTWARE WITHOUT PROBLEMS OR INTERRUPTION.